The rise of Tinder and Tinder-esque apps clearly demonstrates that we’re still trying to answer the age-old question: how on earth do I meet someone when I’m busy, permanently glued to my phone and more adept at a Facebook stalk than a real-life conversation? Of course, being part of any minority group compounds the issue, so it was only a matter of time before Muslims jumped on the app bandwagon and got cracking with their own versions. Whatever your feelings are on these apps, the demand for them is undeniable. I decided to head straight to the source and had a chat with Khalil Jessa, the creator of Salaam Swipe, and Hamid Saify, the creator of the Crescent app. While both are based in North America, they anticipate that their apps will have global reach across Muslim diaspora communities. Jessa experienced these issues first-hand as a young Muslim in Canada and felt that “it is just too difficult to meet one another within our communities”, citing lack of opportunity and space to meet people as a key issue for Muslims. 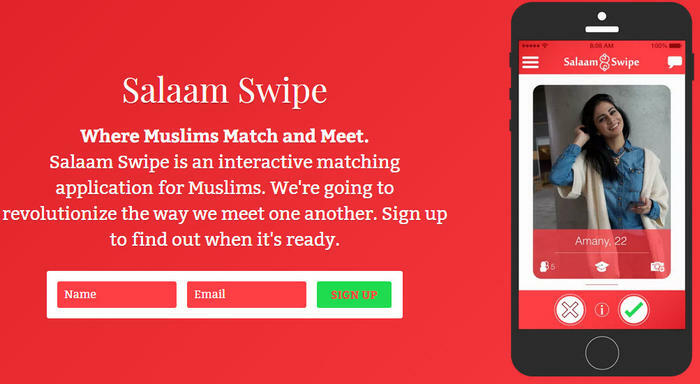 Saify echoed this, saying that “[y]ou either know all the Muslims in your community, or you live in a city without many options to explore the potential of love.” He noted that there were few “inclusive” spaces for Muslims of all stripes and colours to meet other Muslims, something he hopes will change with apps such as his. 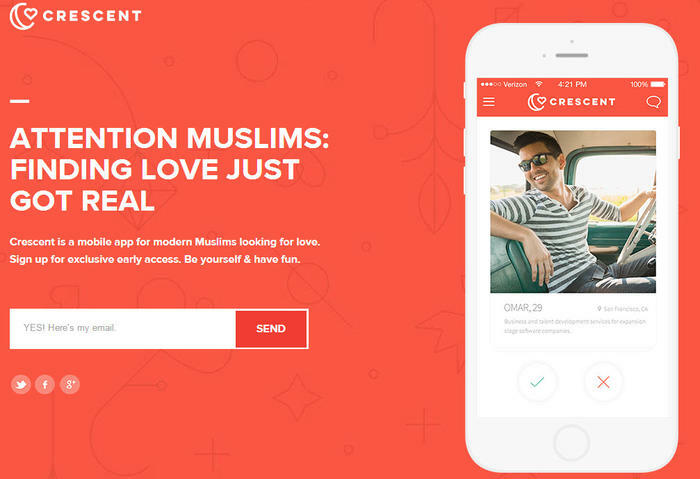 Both apps have similar functionality to Tinder, which I flagged as a potential issue for some Muslims, given that app’s rather (cough) seedy reputation. Jessa stated that “[t]he fact that people are making a conscious attempt to find someone of their faith on Salaam Swipe shows that they are looking for something more meaningful than just a casual relationship.”Saify emphasised the flexibility of using Crescent, noting that while some may be on there to get married, others may just be looking to make friends. Privacy and discretion are key in this game. For those worrying about their Facebook friends popping up as potential matches, Salaam Swipe has a feature which specifically weeds out Facebook friends. Saify admitted that there is a stigma attached to Muslims meeting people online, and while he notes that it’s already happening, “no one is going to readily admit it.” However, Jessa believed that “it makes total sense” to search for someone online, particularly for Muslims who are looking for very specific characteristics in a partner. Studies have shown that a third of couples in the US now meet online, and it appears that many Muslims are jumping right on board. Jessa laughingly notes that he would definitely use his own app, while Saify also tried his hand at Muslim and Afghan matrimonial sites before meeting his wife (offline, as it so happens). To swipe left, or right, or not at all? The choices are now all at your fingertips. Would you use apps like this? Why or why not?